The 179th flying regiment in the 1960s and the 1970s flew with MiG-19 Farmer and Su-9 Fishpot types as an Interceptor regiment. 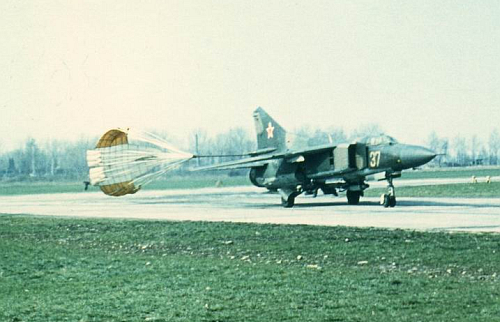 In 1978 the regiment received used MiG-23M Flogger-B types and started the air combat maneuvering training. At the end of the seventies the independent 8th Independent Air Defence Army discontinued and the 179th regiment was transferred to the 14th Tactical Air Army. 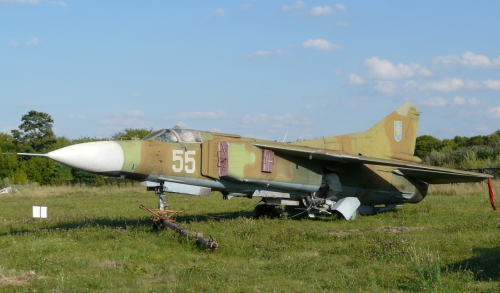 The MiG-23's were painted camouflage and served as a tactical fighter for a short time. In 1983 the 179th regiment was given a new role. After the 289th division's 236th regiment moved to Czechoslovakia with their MiG-27's, they took it's the role. The MiG-23M Flogger-B type was flown as a fighter-bomber. 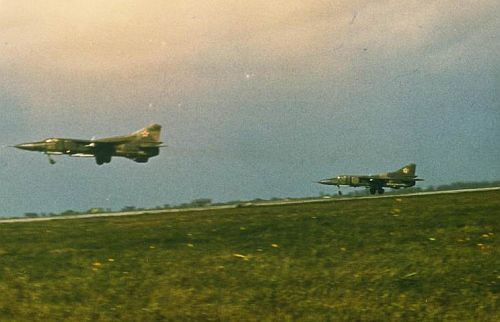 The regiment's camouflage, yellow page number MiG-23s were discharged from the air to air rocket launcher rails. After that they practiced with air to ground weapons. 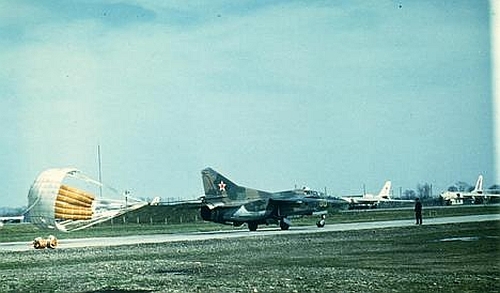 Left: The 179th Fighter Bomber Air Regiment’s MiG-23UB Flogger-C type is rolling in front of the 260th Long Bomber Regiment's bomber Tu-16s at Stryy airport. From 1988 the 179th regiment returned to the Soviet Air Defense Force. The picture shows the regiment pilots and MiG-23M Flogger-B interceptors at the Turkmen Military District Nebi Dag airport. Here the Soviet Air Defence 18th Center for Combat Employment Aviation was given a new air defense training. Among the 179th Regiment's MiG-23s at this time were early Mig-23 type. On the picture the type already has Ukraine indication.